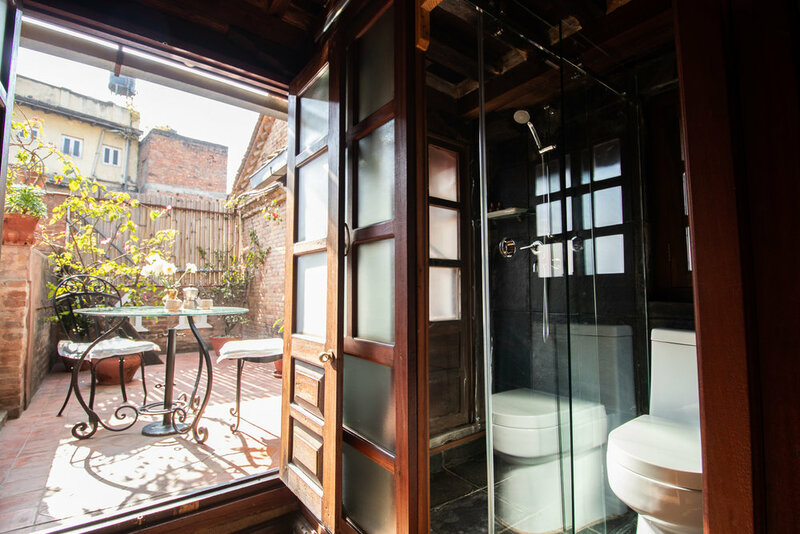 Unit is perfectly suitable for traveler friends, solo travel or even couples, there are twin beds and can also be converted into king bed upon special request. Bed sides lamps used in our rooms are quite special, they are hand made products from metalwood. 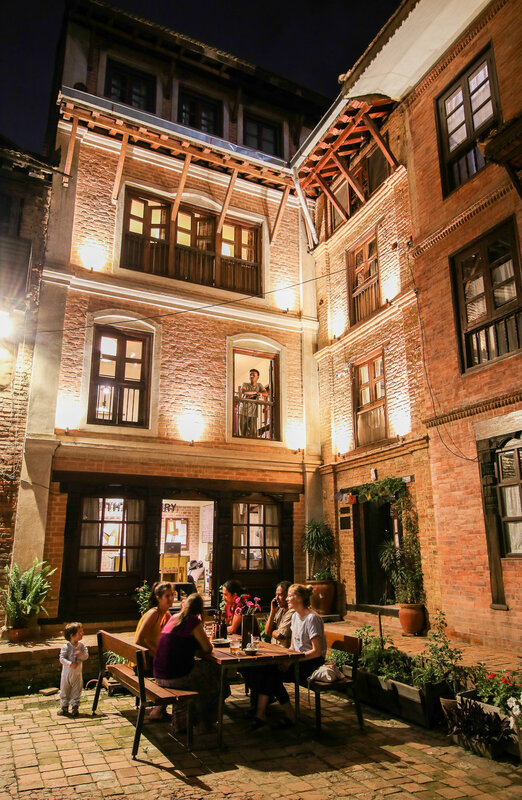 One of the unique feature of Newari architecture is it’s slighted roof top, you will notice the appropriate use of modern elements blended with traditional wooden beams. We have air conditioning in the room, works as both cooling and heating. Medium but not too big, these wooden windows are some significant features of Newar architecture. If you look up closely, the wooden beams that are used for this room they are a bit raised up by certain inches. Also, these are the same 400 years old beams from Malla Period. Wide Wooden Windows on the left to view over the courtyard on back of Yatachhen House. You will have well equipped Kitchen inside the room. What a fantastic place to stay !